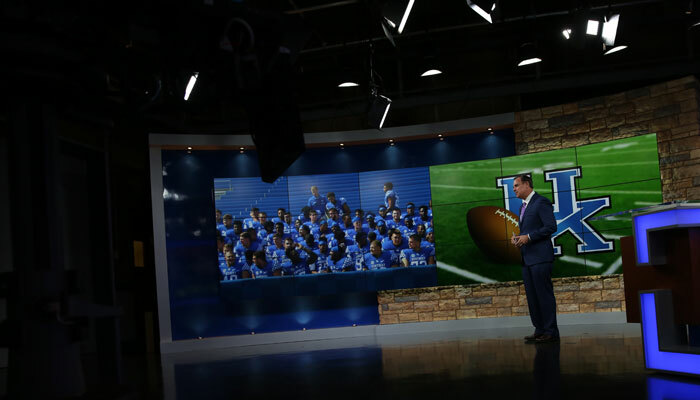 Raycom’s WAVE-TV debuted a new set from FX Design Group this week. 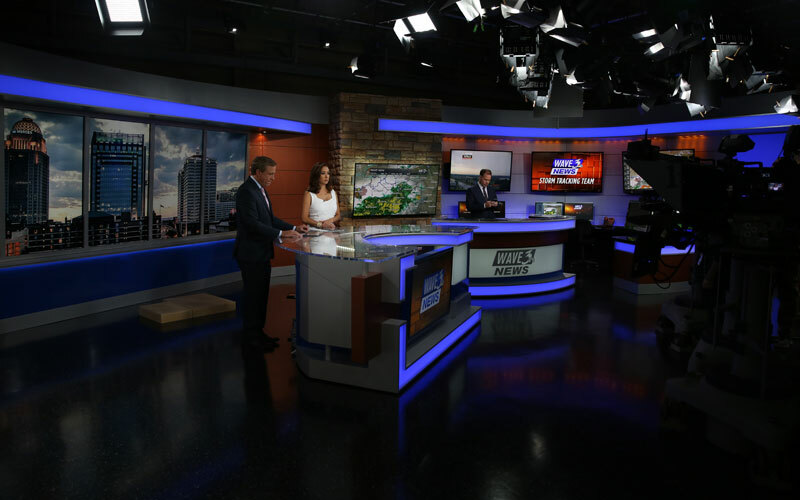 The sets anchor desk mixes backlit elements with a monitor and is located in front of a 5×1 vertical monitor array that showcases downtown Louisville. Copper-colored paneling flanks the monitors, with a backlit header that frames the wall, re-appearing above the weather center as well. 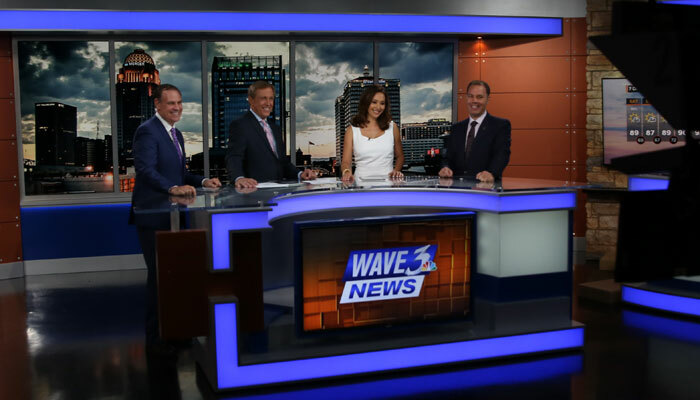 The working weather center, which is located to the right of the anchor area, includes four large monitors and a wall of stonework, along with a pod featuring “WAVE 3 News” branding. Up and downlights provide kayers on the walls. A 6×3 monitor wall creates a large storytelling venue to the left of the anchor desk, with more stonework appearing. Overall, the sets lighting enhances the design, playing off the warm tones and textured walls, creating an inviting space on-air.